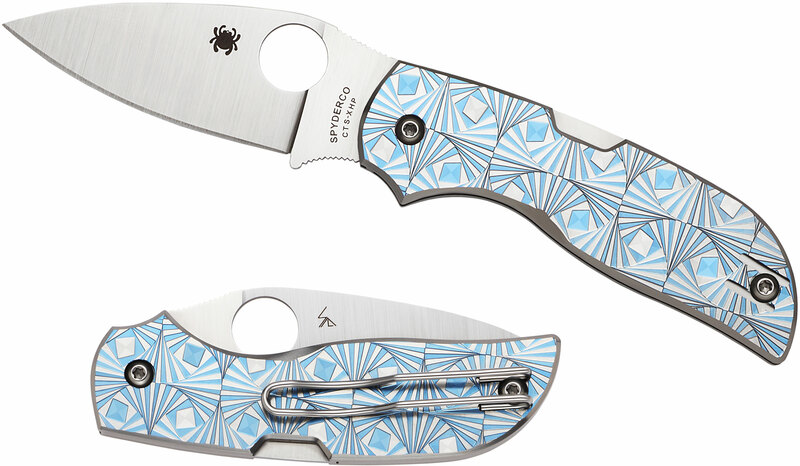 We’ve had a few whirlwind weeks since Spyderco announced their annual list of discontinued knives, and we’ve got only a few models left that will never be produced again. These (now super collectible) knives have been severely discounted, so check out the last of what we have to offer before they’re all gone for good! This model is one of three Chaparral folders we have left, and this one is particularly eye-catching because of the unique blue handles. After a complex initial machining process, the stepped titanium scales are color anodized to give them a brilliant blue hue, and then they’re machined again to make the alternating layers that create the unique pattern. 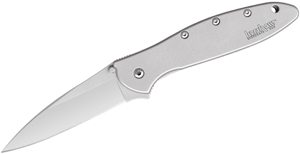 This second discontinued Chaparral model has a totally different aesthetic, but keeps the same blade and handle profile as all the other mid-sized Chaparral folders. This variation was actually the second installment in the Chaparral series, and it makes for a great gentleman’s knife. The diamond pattern gives the handle grippy texture, and the ambidextrous tip-up pocket clip and mid-positioned lockback are great features that round out this very nice folder. If you like the stepped titanium handle style but aren’t a fan of bright blue, this variation has a much more subtle look. The thickness of the handles and the light weight of the knives in the Chaparral series make them some of the best compact EDC folders on the market. 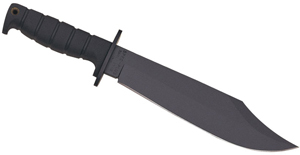 Unlike the Chaparral knives, the Stretch 2 has some serious heft that’s due to super robust handle construction and an 8.20” overall length. This EDC features skeletonized stainless steel liners, a stainless steel backspacer, textured brown G10 handle scales, and a lined lanyard hole along with ultra-high carbon ZDP-189 steel and a stout lockback mechanism with a Boye Dent. We’ve got two discontinued Cook’s Knife models that are uniquely different than Spyderco’s other kitchen knives. Exclusively produced by skilled veteran Japanese knifemakers for Spyderco, the Cook’s Knife is a medium-sized utility knife with a full-flat ground VG-10 blade and beautifully contoured and polished Corian scales. If you want to add a serrated knife to your knife block, the second discontinued Cook’s Knife is a great option. This knife has an exceptional blend of ergonomics and balance, and the full-tang construction is solid enough to cut through thick cuts of meats without worry. There’s a unique story behind the name of this Spyderco folder, and if you know your Greek history you’ll understand why it’s so fitting. When closed, the Ouroboros’ unique handle and blade design make the overall shape almost a seamless oval, with the tip of the blade aligning perfectly with the handle’s liners. The Ouroboros was named after an ancient Greek symbol of a serpent eating its own tail, an intentional choice by designer Paul Alexander that perfectly describes the look of the knife. 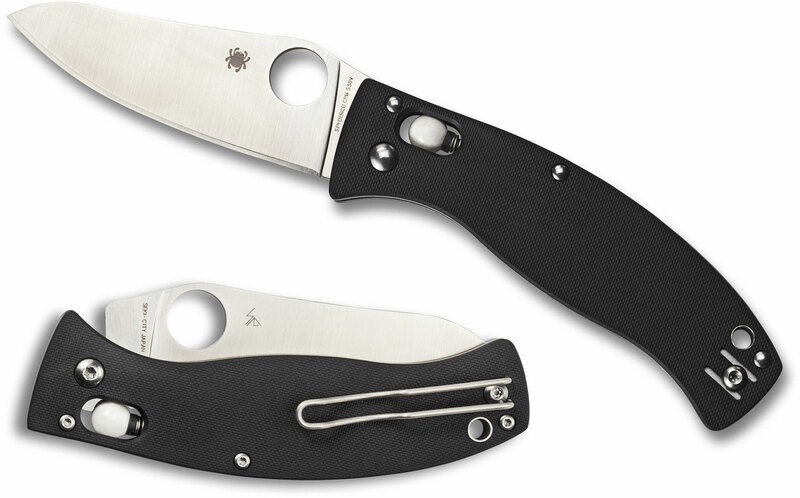 This folder features a gently curved VG-10 blade, nested stainless liners, textured G10 scales, and Spyderco’s patented Compression Lock. 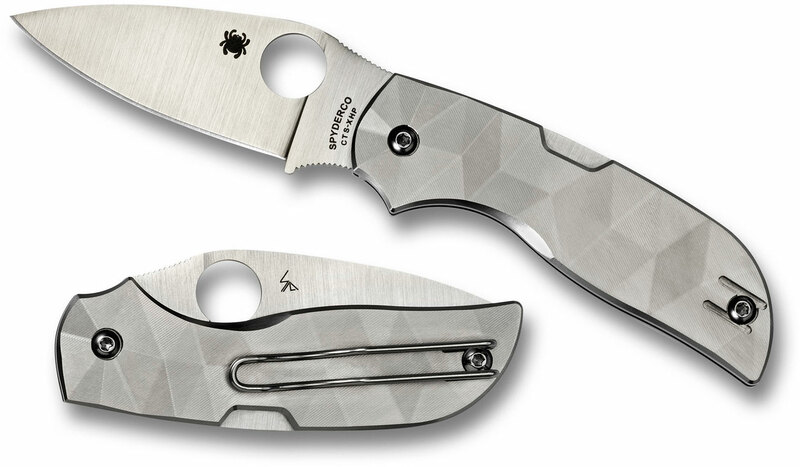 Slim, lightweight and extremely safe to use, this is one of the more distinctive designs to make Spyderco’s discontinued list. 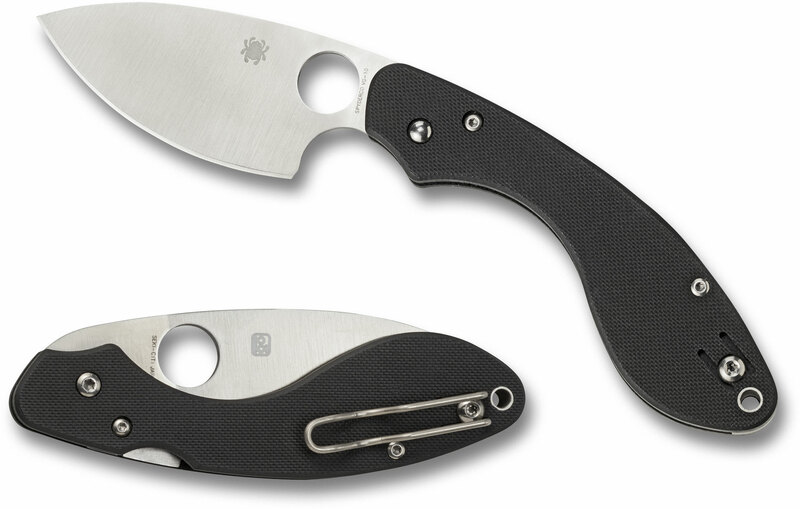 The Manix 2 really needs no introduction as it’s one of Spyderco’s best-selling items, but this variation flips the script a bit due to the high-strength lockback mechanism and lightweight linerless handle construction. 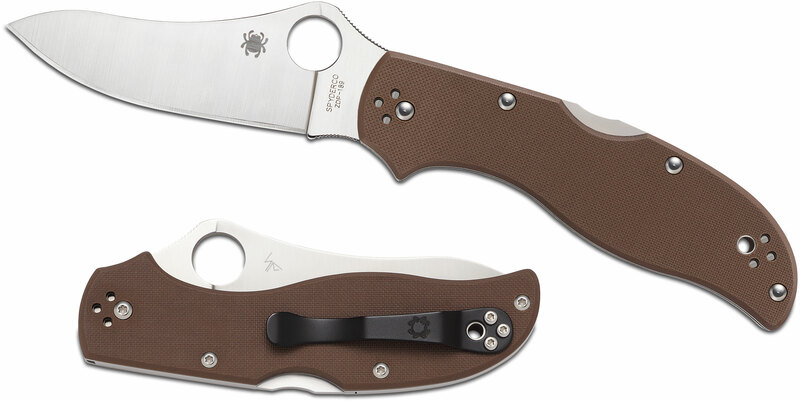 It’s not often you can get a super steel like CPM-S30V on a Spyderco for less than a hundred bucks. 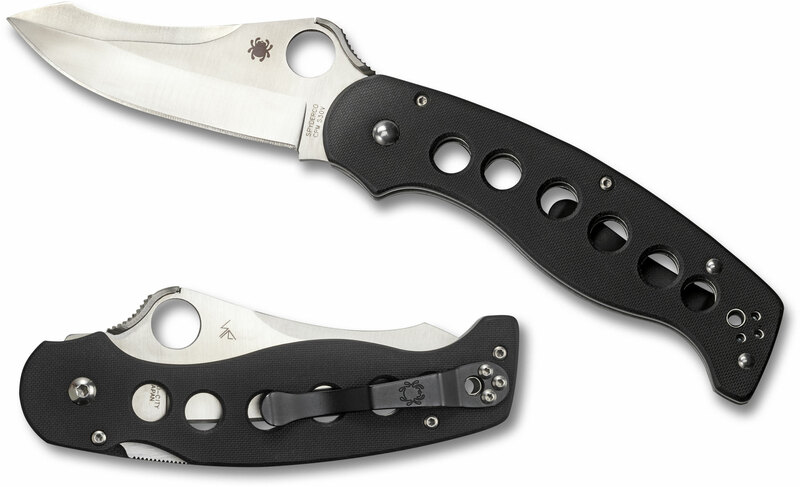 This isn’t the first time a Spyderco ATR model has made their discontinued list. Back in 2003, the ATR became a near cult classic when it was originally discontinued and then about thirteen years later, this upgraded ATR 2 was introduced with a saber-ground CPM-S30V blade and a handle crafted from full stainless steel liners and textured G10 scales. Don’t miss this last chance to own this highly-regarded design. Designed by custom knifemaker and former competitive cutting champion Gayle Bradley, the Junction is precision machined from PSF27 steel that sports a broad profile and full-flat grind. For maximum control and strength, the Junction features a wide handle and an understated integral guard capped by slim, smooth G10 scales. 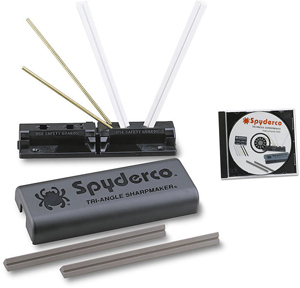 Those scales are permanently secured to the full tang with sturdy tubular rivets that facilitate the attachment of a lanyard to allow the knife to be easily lashed to a pole as an improvised survival spear. To complete the package, a custom-molded Boltaron sheath and versatile G-Clip offer a wide range of carry options. 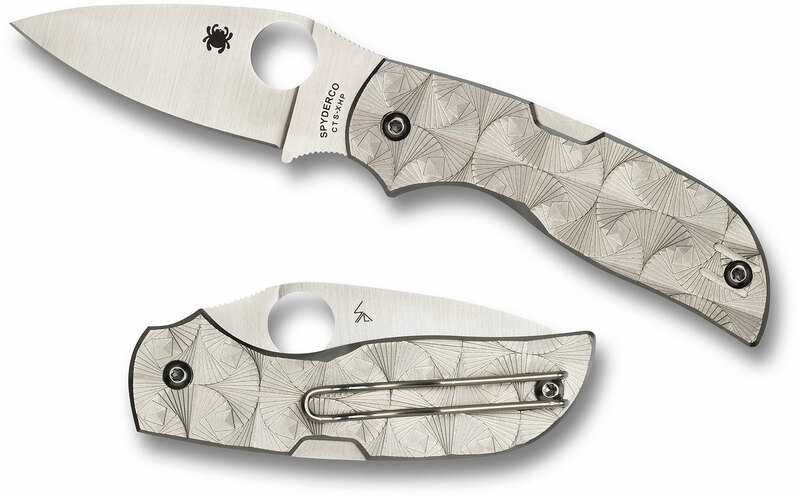 For those familiar with the late Bob Lum’s work pairing classic Asian blade patterns with expertly crafted modern designs, you’ll probably be a fan of his most famous Spyderco collaboration – the Lum Chinese Folder. The Lil’ Lum resurrects that design in a smaller, more pocket-friendly size with a leaf-shaped VG-10 blade. 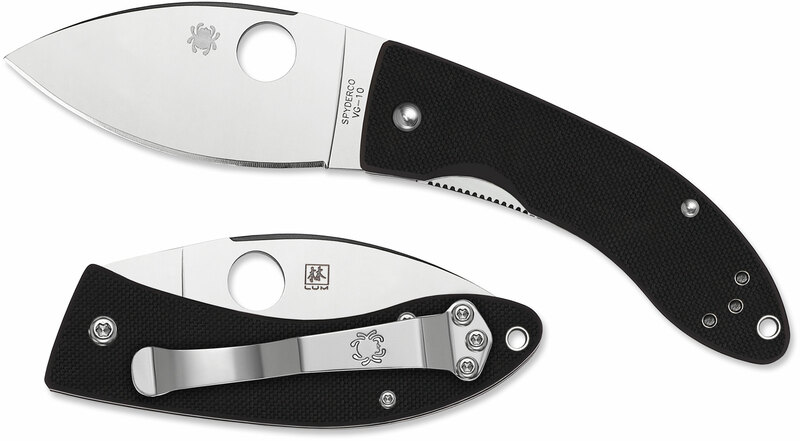 Spyderco’s original D’Allara rescue knife was produced in honor of John D’Allara, a New York City police officer and Spyderco enthusiast who gave his life to save others on 9/11. 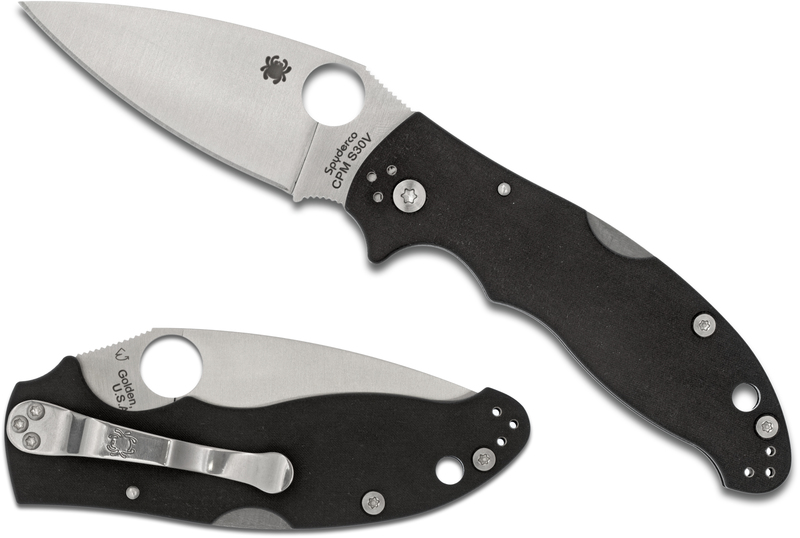 This upgraded variation comes with CPM-S30V steel and textured G10 scales. Which of these knives will you miss the most from Spyderco’s lineup? Tell us in the comments below! Hello there! This is my 1st comment here so I just wanted to give a quick shout out and tell you I genuinely enjoy reading through your blog posts. Can you recommend any other blogs/websites/forums that deal with the same topics? Many thanks!